On Sept. 10, 1988, the first-annual Milwaukee pride festival was held at Mitchell Park with the theme "Rightfully Proud." When PrideFest moved in 1996, the Wisconsin Pride Parade extended through the Historic Third Ward to the festival's front gates. Judge Christ T. Seraphim called for a public "war on perversion," pledging to "make (Juneua Park) safe for children." Up to 24 undercover detectives patrolled the park nightly, using tactics such as entrapment, coercion, and violence. On March 19, 1964, a five-alarm fire consumed the Riviera and devastaed the block. FBI documents notes that the underinsured tavern was a "profitable fag joint." The Riviera relocated to Plankinton Avenue until its 1967 demolition. 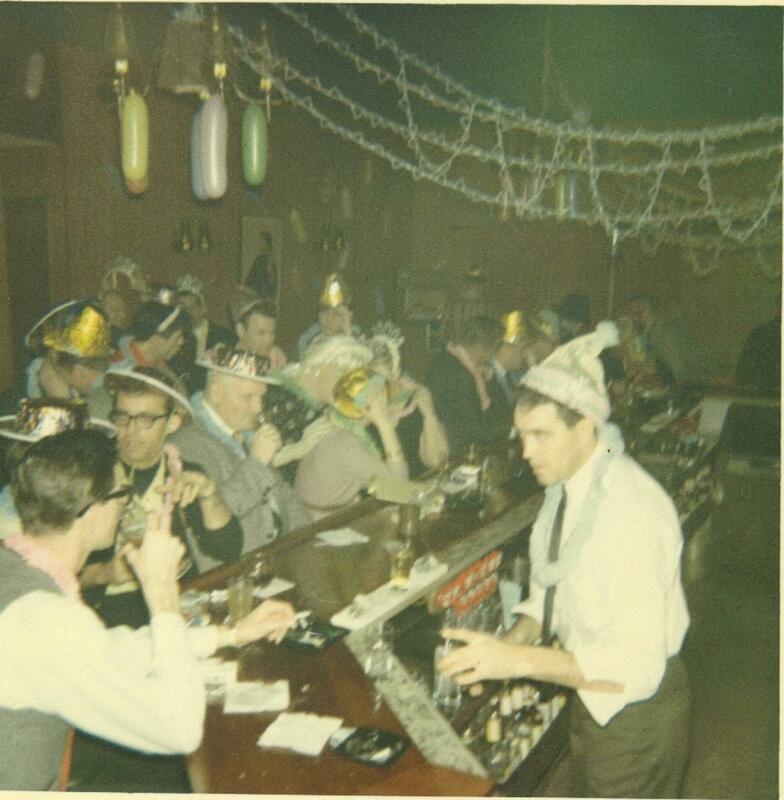 The Mint Bar (422 W State St.) hold the record for the city's longest-running gay bar. Open in 1949, it was a small, cozy bar that served as an early beacon for Milwaukee's gay men. Lake Effect's Audrey Nowakowski with 'LGBT Milwaukee' author Michail Takach. During the 1960s, more than 35 gay bars and gathering places existed in Milwaukee, even before the Stonewall Riots put the gay community and culture in the national spotlight. These Milwaukee spots ranged from hidden hotel spaces, to back rooms of the sixties, to classic taverns and clubs that still exist today. Only New York and San Francisco had comparable numbers of gay bars in their cities. Milwaukee has always been a tavern town, where bars function as a community center and gathering place. However, bars for the LGBT community served a purpose far beyond a place to get drinks, according to Michail Takach. He's the author of LGBT Milwaukee: Images of Modern America. "Prior to 1969, there were almost three dozen known gay bars in Milwaukee, and it's because people needed the sense of space, they needed somewhere to be themselves and see themselves reflected in the world. And at that time, they weren't seeing it anywhere but these bars," he says. Takach stresses that these bars served as a safe place, aside from locked rooms at hotels and houses, where LGBT people could be open without the fear of being arrested, thrown out or brutalized. In 1965, Jim Dorn opened Your Place (813 S. First Street) with his lover Jerry Stinson. When most gay bars were located downtown, the 'Y.P.' was a pioneer in Walker's Point. "There really were not a lot of places where people could gather because laws prohibited business owners from allowing gay people to gather," explains Takach. "They could literally lose their license, they could be shut down - and many of them were." Yet despite the risk of operating a gay bar, an unlikely ally came from the local mafia. Some bars even paid off police men, or would serve them and their wives for free to ward off raids and vandalism. After certain laws went into effect in the early 1960s that prohibited "the B girl" trade (women in bars hustling men for drinks and other unofficial business), crime syndicates of America looked for other business opportunities after bars and strip clubs underwent the crackdown, according to Takach. Although it may seem completely contrary to the stereotypical perceptions of the mafia, Takach has "an amoral position" towards the infamous group. He notes that the mafia's marketing and business strategy was brilliant, and they truly influenced what night life looked like in Milwaukee. "Honesty, (the mafia's) investment in this culture really made them the steward and guardian of a whole heritage that exists today because they made that business choice," says Takach. 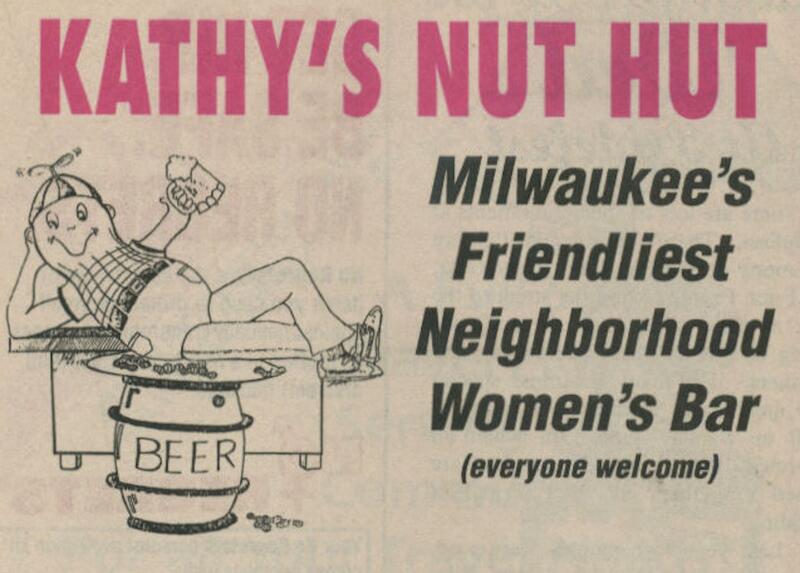 Kathy Krau's business was the longest-running women's bar in Milwaukee. It ran for three decades before closing in February of 2014. His author, LGBT America, is filled with images of Milwaukee hotels that no longer exist; advertisements for bars and clubs; and candid photos of people living authentically in the few places they we able. Unfortunately, since the culture had to be hidden from plain sight, the photos featured are only a fraction of what could have been documented. "I felt a lot like a detective, if not an archeologist," says Takach. "No one was taking pictures of (gay bars), no one was documenting remodels or grand openings, no one was in there with cameras because a camera were a very dangerous thing to bring to a gay bar in those days." Mementos of bars long shutdown are also hidden from history - either through the structure being demolished or in many cases, arson. Takach said that before he starting researching the little known history of gay bars in Milwaukee, he was clueless of what came before the local, modern, LGBT scene. The Stud Club, at Milwaukee's notorious Royal Hotel (435 W. Michigan.) was a dancefloor destination in the early 1970s. "When I first arrived on this scene, I gave no thought to what came before. I had no idea that this playground had not always existed, and that the world had not always operated this way," he says. "Unfortunately LGBTQ people expect to have a heritage, they expect to be part of something, but it's always a forward looking something - it's not really a past." Takach hopes that this book will generate not only greater interest in Milwaukee's strong, LGBT heritage, but show the importance of preserving and encouraging all LGBT people to share their own stories. "By knowing this history and heritage and connecting with a sense of past and understanding that we've always been here...I think that people will have a much greater sense of pride not only in their community, but also in Milwaukee for fostering this community for so many years," says Takach. 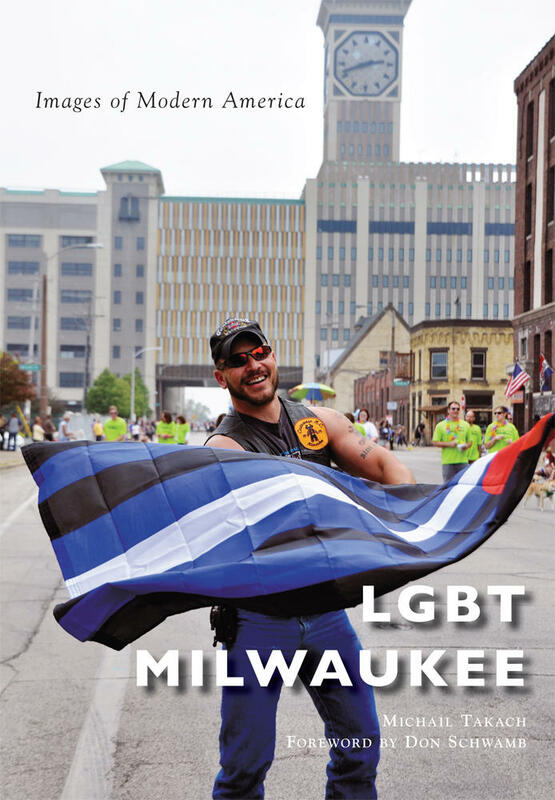 LGBT Milwaukee: Images of Modern America is published by Arcadia Publishing & the History Press. Takach will be speaking about the book tomorrow evening (December 6th, 2016) at Historic Milwaukee. President Obama is designating a new national monument around the Stonewall Inn, the birthplace of the modern gay rights movement. The Stonewall National Monument in New York City will be the first addition to the National Park System specifically highlighting the history of the LGBT community. A new report from UW-Milwaukee examines how comfortable older LGBT people feel about aging in the Milwaukee area. Researcher and social work assistant professor Mark Williams collected the comments of 255 LGBT residents, between the ages of 50 and 89. His study reveals areas respondents say need extensive improvement, such as housing. Williams says a significant number of respondents believe they’ll eventually live in an assisted living facility or nursing home. Yet he says most fear they won’t feel safe or comfortable in such a setting. While today marks a major victory for gay rights in the U.S., the anniversary of a major moment in gay rights history is this weekend. 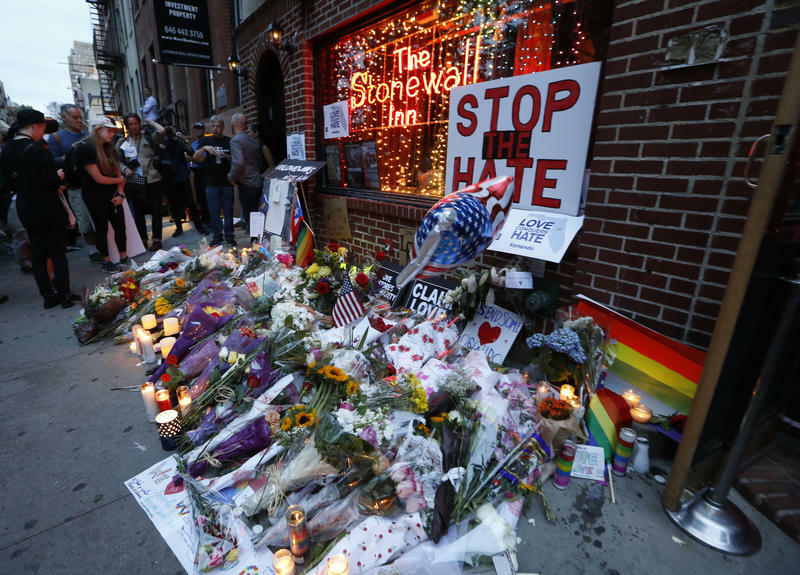 The infamous Stonewall Inn was the site of a police raid 46 years ago. The raid on the bar with a mainly gay and lesbian clientele sparked a riot, which is itself seen as a landmark moment in the history of the LGBT civil rights movement.